Krista Villarreal returns to D-FW, pulls a weekend shift on "The 33"
Yes, that was former NBC5 meteorologist Krista Villarreal taking temperatures over the weekend on "The 33's" 9 p.m. newscasts. Whether her future holds much more than that is still unclear. News director David Duitch couldn't be reached Monday. A voice mail message said he was out of the office. Villarreal does have time on her hands. She returned to D-FW earlier this month to join her husband, who began a new job here in October. 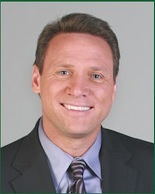 Villarreal had been the early morning and noon weathercaster at Pittsburgh's WPXI-TV since January of 2007. It's the same station that recently hired former CBS11 early morning meteorologist Julie Bologna to be its primary weathercaster in the city where she was raised. Villarreal did the weekend weather for six years at NBC5 before joining WPXI. "The 33's" weather picture currently is clouded. As previously reported, weekday meteorologist Bob Goosmann has been offered a take-it-or-leave-it deal to do weekend weather while otherwise doing general assignment reporting for three days a week at a 30 percent pay cut. "The 33" also has used former NBC5 early morning meteorologist Rebecca Miller on weekends. She also has filled in on occasion for Goosmann. 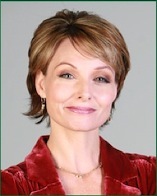 The station recently dumped weeknight anchor Terri Chappell, who had anchored the 9 p.m. newscasts for the past 10 years. The Cowboys gave up, and do did viewers at the end of Sunday's gag-inducing collapse against the Eagles. By game's end, at 6:12 p.m., just 896,805 D-FW fans were still tuned to Fox's telecast. Viewership peaked early, between 4:15 and 4:30 p.m., when 1,462,460 viewers still had their game faces on. Overall, Cowboys-Eagles averaged 1,209,026 viewers, the lowest turnout since 1,129,310 watched Dallas thump the 49ers on Nov. 23rd. Sunday's other NFL games were topped by NBC's Sunday night playoff elimination game between the Chargers and Broncos, which averaged 325,507 viewers. In Friday's ratings-deflated post-Christmas Day local news derby, WFAA8 won at 10 p.m. with a comparatively measly 186,004 viewers. WFAA8 and Fox4 tied for the 10 p.m. lead among 25-to-54-year-olds, the main advertiser target audience for news programming. Fox4 scored twin wins at both 6 a.m. and 5 p.m., but audiences again were pretty dinky. Fourth-place WFAA8 may have set an all-time low in the wakeup hour with just 26,572 total viewers. But WFAA8 as usual swept the 6 p.m. news competition. Then and now: Dale Hansen still doing "Thank God for Kids." 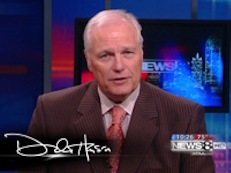 More than 200,000 D-FW viewers watched Dale Hansen's "Thank God for Kids" segment Sunday night. That's nothing new. 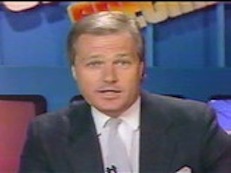 The veteran WFAA8 sports anchor has been doing it every Christmas season since 1982. But this time around, Hansen make a major point of lashing himself as an inadequate father while also faulting his adult son and daughter for not thinking better of him. His voice breaking, he then closed by saying, "I tried to be a good dad. I did the best I could. And no matter how long it takes, I promised their mom when she died 11 years ago, I will take care of our babies." 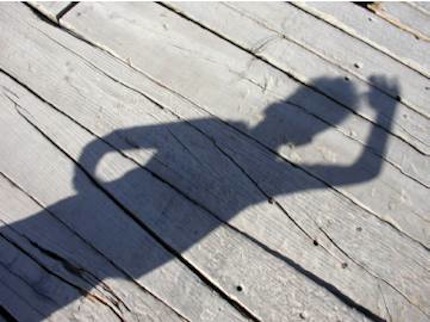 Hansen, who remarried before his first wife's death, has never been known to hide his feelings. It's both made him a star and led to a few firings along the way. But this wasn't just another blast at a pro sports figure. This was uncommonly personal. Whether it was the right forum is another matter. But for better or worse, Hansen communicates best when talking through a television screen or entertaining a large crowd at a public gathering. A lot of TV people are that way. It gets in the blood. Asked about his "unusually personal commentary" in an email query, Hansen said that his longtime friend and former Cowboys assistant coach Joe Avezzano "might have said it best . . . 'Sounds like a plea for help with your son' "
"And that's probably exactly what it was. Make any sense?" Hansen added. Hansen had many problems with his own father, who died earlier this year. He's made no secret of that, but they still communicated. Hansen's relationship with his only son, Eric, now 38, has worsened over the years. Eric dropped by to see him Sunday for the first time in two years and a month, Hansen told viewers. "He doesn't like his dad much anymore, and hasn't for quite a while now," Hansen added. "I've tried everything I know, and I'm not giving up, but I'm afraid I've lost him. And along the way I'm losing my daughter, too. She thinks I care too much about him." As reported by The Dallas Morning News, Eric Hansen had been questioned by police for informational purposes after real estate agent Jeanmarie Tolle Geis and her two young children were found dead in the family's North Dallas home Friday. Eric had been dating Geis for the past few months, and his eight-year-old son was best friends with her son, the story said. Eric Hansen also was interviewed on-camera and identified as Dale Hansen's son in a story by WFAA8 reporter Jonathan Betz. Dale Hansen, in his on-air commentary Sunday, said he had been too much of an absentee father during his son's and daughter's formative years. He compensated by spending lavishly on them. His rationale: "If I bought 'em enough and gave 'em enough, they wouldn't notice that I wasn't there." Hansen repeatedly used the refrain, "And it's my fault, because they're my children." But he didn't place all of the blame on himself. If his children found themselves in a homeless center, "My son would be the one at the table complaining about the quality of the soup," Hansen told viewers. "And my daughter would be complaining that he had a bigger bowl than she did." Hansen's daughter is a teacher, and he's most proud of that, he told viewers. "When someone walks by and sees my marker (gravestone) in the ground, they're gonna look down and say, 'Did you ever have a chance to meet that man's daughter? That man's daughter is a teacher. That man in the ground must have done something right.' "
In his subsequent email response, Hansen said he wanted to "talk about the feelings and problems I'm having with my children, with the hope that others would relate. "They did, in surprisingly large numbers," he added. "The number of parents and kids who have told me of their separation has actually been surprising. But I do believe one of the things that has helped me stay on the air as long as I have is that I have no problem sharing my personal feelings -- good and bad." The Cowboys' Saturday night horror show against Baltimore suffered a ratings downturn as well. Playing in unfamiliar haunts on a big holiday party night didn't help. The game averaged 943,306 D-FW viewers on CW33 and added another 305,578 on the NFL Network. That's a total of 1,248,884 viewers, well below the 1,574,391 who watched the Cowboys beat the Giants on the previous Sunday and also short of the 1,474,746 fans for the Dec. 7 loss to the Steelers. Still, it's a windfall for CW33, which appreciates your business. On the previous Saturday night, the station averaged fewer than 50,000 viewers for its prime-time programming. Sunday's ratings also were dominated as usual by pro football matchups. NBC's prime-time Giants-Panthers game, in which New York secured home field advantage throughout the playoffs, averaged a nice-sized 524,797 viewers. Fox's preceding Eagles-Redskins game was close behind with 511,511 viewers. And CBS's earlier Steelers-Titans tilt drew 292,292 viewers. In Friday's local news derby, WFAA8 ran first at 10 p.m. in both total viewers and 25-to-54-year-olds, the main advertiser target audience for news programming. NBC5 swept the 6 a.m. ratings and Fox4 did likewise at 5 p.m. The 6 p.m. golds were split, with WFAA8 on top in total homes while Fox4 finished first with 25-to-54-year-olds. Creeping ever closer to the magic 2 million mark, Sunday night's Cowboys-Giants game on NBC peaked at 1,840,111 D-FW viewers in the closing 15 minutes. That's another 2008 season high, bettering the 1,700,608 viewers who watched the Cowboys collapse in the final XV minutes of last Sunday's loss to the Steelers on Fox. The big home win against the Giants averaged 1,574,391 viewers overall, also bettering the 1,474,746 viewers for the Steelers game. CBS' competing Survivor: Gabon finale staggered in Sunday night with 225,862 viewers. NBC's post-game show included a preening Terrell Owens alongside two Cowboys who actually did something during the game -- Tony Romo and Jason Witten. A total of 1,235,598 viewers stuck around to see Owens take a shot at ESPN reporter Ed Werder, whose piece on the Cowboys' latest off-the-field soap opera prompted the usual national headlines plus some hometown booing of Owens during the game. T.O. branded Werder's reporting "irresponsible" while Romo gamely grinned. Earlier Sunday, David Gregory's debut as the new Meet the Press moderator drew 119,574 viewers from 9 to 10 a.m. That gave MTP a time slot win, although ABC's This Week with George Stephanopoulos was taken out of the race. WFAA8 instead offered live coverage of the White Rock marathon, which averaged just 39,858 viewers from 8 to 10:30 a.m.
Saturday's prime-time Nielsens were led by ESPN's one-hour Heisman Trophy special (159,432 D-FW viewers from 7 to 8 p.m.) That bettered the crowd for NBC's annual rebroadcast of It's A Wonderful Life, which had 106,288 viewers. Wonderful Life also ran behind TXA21's Mavs-Oklahoma City Thunder game (132,860 viewers) and ABC's Surviving Christmas (119,574 viewers). On Friday night, CBS' pair of half-hour Frosty the Snowman specials drew 139,503 viewers apiece to finish second from 7 to 8 p.m. behind Fox's Are You Smarter Than a 5th Grader? (205,933 viewers). In local news derby results, WFAA8 won Friday's 6 and 10 p.m. competitions in total viewers and 25-to-54-year-olds, the main advertiser target audience for news programming. Fox4 had the other golds, sweeping both the 6 a.m. and 5 p.m. faceoffs. Mavs launch viewer incentive program . . . but why stop there? 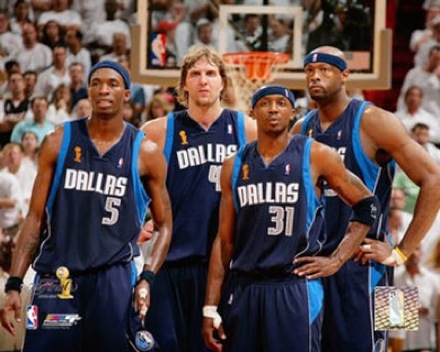 Dirk Nowitzki has a price on his head, as do those other Mavs pictured above (except that Josh Howard never plays). The more you watch him/them, the more you might win as part of a new pay-per-view scheme announced Wednesday by Fox Sports Southwest. Here's the deal. First go to 4Mavs.com and register. Then watch the Mavs on Fox Sports Southwest and wait for each game's "keyword" to be revealed. FSS says that each of these will be worth 5 or 10 points toward monthly and grand prize awards. Frankly, the first one is kind of crappy. Earn 50 points in December to get 10 percent off Mavs merchandise at D-FW's two Dallas Mavericks Ultimate Fan Shops (in NorthPark Center and the Shops at Willow Bend). It gets a bit better in January, where 50 points scores you a Mavs cap. February's prize is a special edition All-Star poster for 30 points. And in March, 40 points is worth a special edition Mavs T-shirt. Accumulate 100 points by Feb. 10th and you get a "player-autographed" All-Star game poster (yeah, but who's signing 'cause I ain't watchin' for no Devean George sig). Nirvana is 175 points for the duration of the "Mavericks Fox Watch" program. That'll get you admission to a "private meet-and-greet reception" with a Mavs player plus a shot at winning a team-signed basketball. ***Endure any 50 of NBC5's 10 p.m. newscasts, correctly count the times co-anchor Mike Snyder says "Woncha?" and win your choice of a free autographed picture of reporter Scott "Night Ranger" Gordon wrapped in yellow police tape or Meredith Land at a Botox clinic. ***Imagine being a member of Scott Sams' official Sams Club. And it's so easy, too. Check out CBS11's early morning news show, and spot the secret word scrawled on his coffee mug during a daily "Zoom Shot." Each word is worth 5 points. And you'll only need 100 to join Scott at a special invitation-only continental breakfast during which one lucky winner will get Eggs Benedict. ***WFAA8's Good Morning Texas wants you as a loyal viewer. And now you can be a winner, too. Watch very closely near the end of each show for the list of guests who have paid the station for their 5-minute segments. Write them down carefully and then solve that day's anagram. The first viewer to email co-host Gary Cogill with the correct answer wins two tickets to a future movie screening he wasn't planning to attend. ***Now's the best time ever to watch Fox4's 10 p.m. newscasts. That's because co-anchor Baron James is sponsoring a special grand prize event that will land one lucky viewer an all-expense paid Tuesday in Las Vegas at the luxurious Penny Slot Hotel and Wading Pool, located a convenient 35 miles from the Strip. To enter your name in the drawing, watch Baron closely for one week and try to count the total number of pinstripes in whatever loud suits he's wearing. Then mail your best guess to Fox4 and stay tuned for three more months to find out if you're the lucky winner. Or maybe you have some better ideas. The Cowboys' last-ditch loss Sunday to the iron-willed Steelers had 1,700,608 D-FW viewers in its clutches for the game's final 15 minutes. That was the peak audience for Fox's telecast, which averaged 1,474,746 viewers and drew 59 percent of all persons watching TV for its three hours, 15 minutes of mostly ups and then a big downer. The audience for the game's closing 15 minutes -- 6 to 6:15 p.m. -- accounted for more than 25 percent of the D-FW viewing area's 6.64 million population, according to Nielsen Media Research's latest estimates. And that doesn't factor in bars and other out-of-home venues. The most-watched attraction opposite the Cowboys -- CBS' first half-hour of 60 Minutes -- had 59,787 viewers. Fox's Eagles-Giants game, which preceded Dallas-Pittsburgh, averaged 531,1440 viewers to rank as Sunday's second most-watched attraction. NBC's Redskins-Ravens game then controlled the prime-time terrain with a chart-topping 298,935 D-FW viewers. TNT made the only significant ratings mark in the cable world. Its third movie in the Librarian franchise drew 86,359 viewers from 7 to 9 p.m., with the premiere of the new series Leverage dipping to 73,073 viewers at 9 p.m. But those numbers fell short of all the prime-time attractions on the Big Four broadcast networks -- ABC, CBS, Fox and NBC. Football also scored big on Saturday. CBS' matchup between No. 1 Alabama and No. 2 Florida had 345,436 viewers during mostly daytime hours. ABC's Oklahoma-Missouri game then kicked in with 418,509 viewers during prime-time hours. CBS dominated Friday's prime-time Nielsens with Ghost Whisperer and two episodes of Numb3rs. In Friday's local news derby, WFAA8 took the 10 p.m. golds in total viewers and 25-to-54-year-olds, the main advertiser target audience for news programming. It also won at 6 p.m. in both ratings measurements. Fox4 continued to roll merrily along at 6 a.m., easily sweeping the field. WFAA8 remained in a deep slumber at the waking hour, running a distant third in total viewers and finishing fourth behind CBS11 in the key 25-to-54 demographic. The 5 p.m. verdicts were split. WFAA8 won in total viewers, with Fox4 tops among 25-to-54-year-olds. WFAA8 dominated the p.m. news competitions and Fox4 crowed in the early a.m. in the latest November "sweeps" wars. Those are repeats from last year's final fall results, although the runnerup spots have shifted. Here are the complete results in total viewers and 25-to-54-year-olds, the main advertiser target audience for news programming. In each case, year-to-year population growth makes each point a bit more valuable. In the key 25-to-54 category, for instance, a single rating point now equals 30,353 D-FW viewers compared to 29,445 last year, according to Nielsen Media Research. And in total viewers the number has increased from 64,420 to 66,430 per rating point. Even with inflation factored in, overall year-to-year local news numbers are down everywhere except in the early morning, with November to November plusses or minuses shown in parentheses. Note: Prime-time network programming gave CBS11 a significant 9:45 to 10 p.m. lead-in advantage in total viewers. But CBS and ABC programming ran virtually head-to-head among 25-to-54-year-olds. End results: CBS11 is a much more competitive second than it was a year ago. Also, NBC5's late night newscast finished last among 25-to-54-year-olds for the first time since the 1995 network ownership shift that made Ch. 4 a Fox station. And in another notable development, Fox4's 10 p.m. newscast had better ratings among 25-to-54-year-olds than the station's more prominently promoted 9 p.m. local news. Note: Fox4 comfortably led from start to finish in both ratings measurements, with WFAA8 losing major ground from a year ago. NBC5 and CBS11 both made significant improvements among 25-to-54-year-olds. WFAA8 now must find a replacement for departing co-anchor Brad Hawkins while Fox4 has a greater urgency to re-sign co-anchor Megan Henderson, whose contract expires in December. Note: WFAA8 is more unbeatable than ever at this hour, with the other stations pretty much out of the conversation. Note: -- WFAA8 scraped by without anchor Macie Jepson, who was dropped in late August. But its victory margins shrunk significantly, with both Fox4 and NBC5 now seemingly in contention during future sweeps contests.